What to do, what to do about the last-of-the-summer cucumbers coming in this month? It's fairly likely that many of y'all have had a bunch of your own to use up just like we do, and sure, there are limits to the volume of pickles, kimchi, and summer salads you can ingest without needing a new way to fix this vegetable. We figure it's time for a simple, refreshing late summer drink that takes really no time to make. Come to think of it, we're being overtaken by the last burst of summer herbs as well. 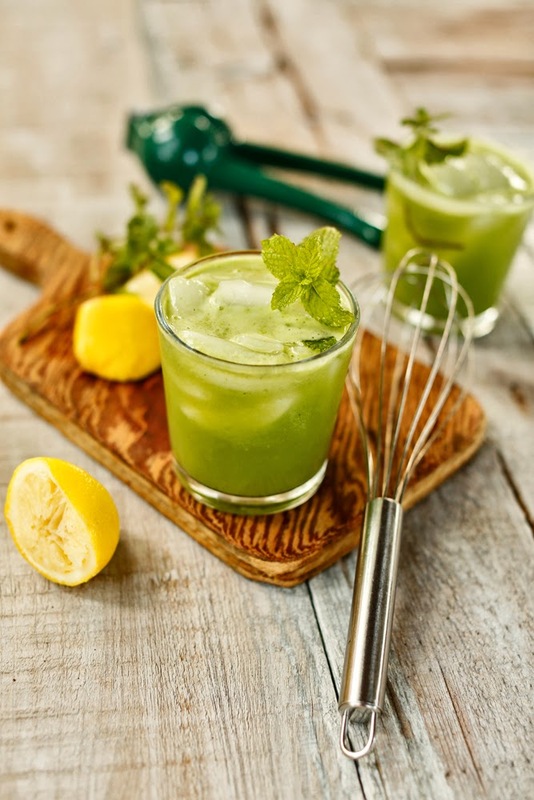 It's time to mix up some cucumber lemonade and throw in whatever else you like from the garden -- we're partial to mint here. Maybe this'll help us all cool down and slog through the few days left before the relief of fall. If we eat with our eyes, then this cornbread is a feast in and of itself. The bright magenta color doesn't come from a bottle, but from a single roasted beet that's mixed into the dry flour. Wasn't it nice of us to give sweet, lowly, humble cornbread a visual lift? It's like we plugged it into the wall and flipped the switch to neon. This inaugural batch became a part of one of our favorite dinners: cornbread, peas, and greens. We added more roasted beets to the top just because they're delicious. 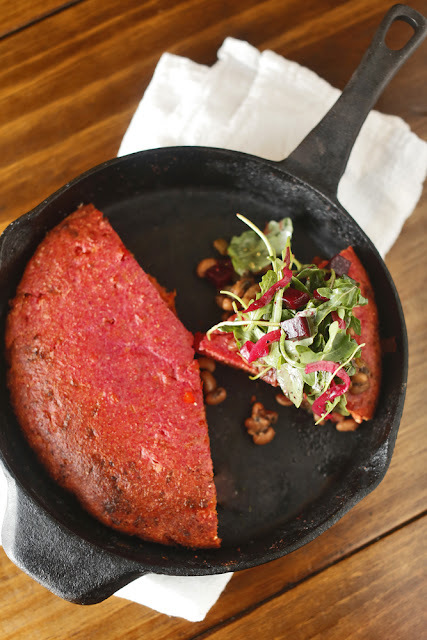 Place a 10-inch cast-iron skillet into a cold oven and preheat it to 400 degrees. In the work bowl of your food processor, mix together the cornmeal, all-purpose flour, roasted beets, baking powder, and salt. Blend until beets are completely incorporated into the flour and the mixture has taken on a pink hue. In a medium bowl, mix together the cheddar, pepper, melted butter, honey, eggs, milk, and yogurt and whisk.